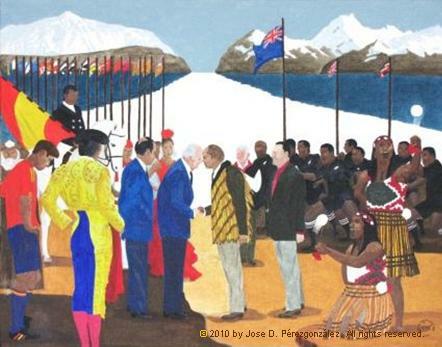 An online exhibition to commemorate Waitangi Day 2011. This online exhibition is officially running from 23rd January to 6th February. 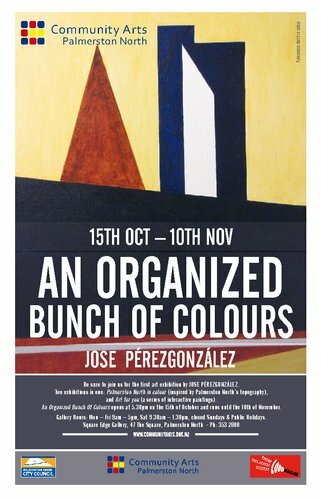 Four exhibitions in one: two main exhibitions, Palmerston North in colour (inspired by Palmerston North’s topography) and Art for you (a series of interactive paintings), running from 15th October until 10th November. And two side exhibitions lasting for a limited time only: one of portraiture, running from 22nd October until 31st October, and a second, Tino Rangatiratanga, running from 2nd November to 10th November. 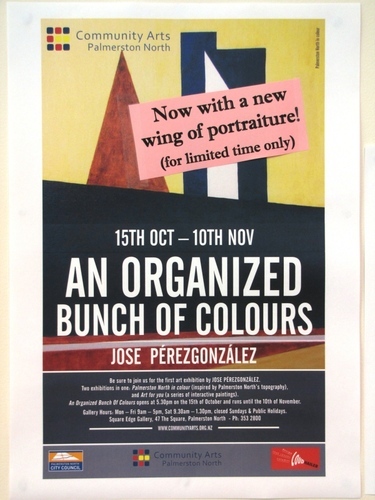 The portraiture wing is a side exhibition within the main exhibition An Organized Bunch of Colours but it is displayed for a short time only, from 22nd October until 31st October. 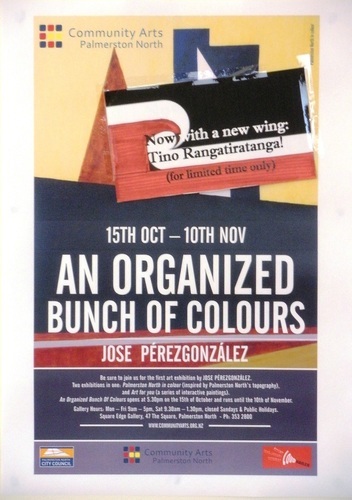 The Tino Rangatiratanga wing is a side exhibition within the main exhibition An Organized Bunch of Colours but it is displayed for a short time only, from 2nd November until 10th November.